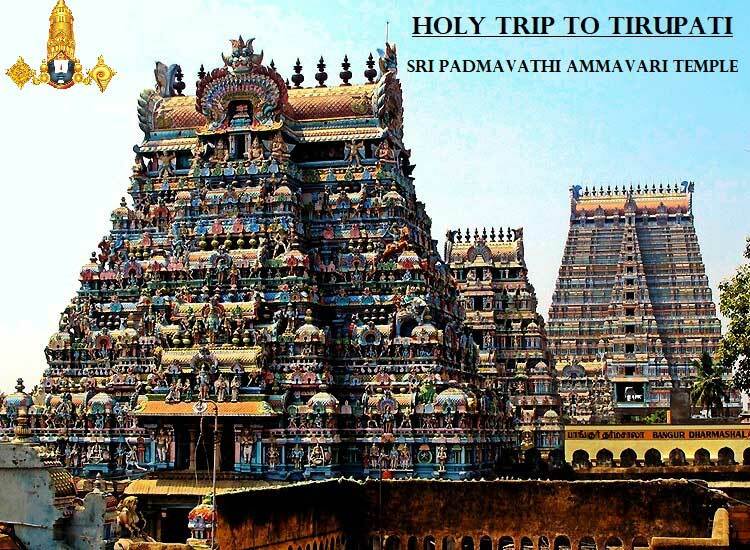 Sri Padmavathi Ammavari Temple is one of the most important and finest temples in Tirupati and it’s located at the distance of 5 kilometers from Tirupati. Sri Padmavathi Ammavari temple is located in tiruchanur is also known as with the name of Alamelu mangapuram temple or Alamelumangapuram, denotes the legend associated with goddess Padmavati as she is believed to have come on a golden lotus flower and name denoted as Alar, Manga, and Puram. There is each word in the name has a certain meaning that is Alar refers to Lotus, Mel means it Top, Manga signifies into Goddess and Puram referred by the village or town. Therefore lots of tourists/devotees come every year to seek blessings of goddess Padmavati and known as the goddess of wealth and prosperity. The temple is made and looks like a Dravidian style and is well known for its architecture during the festivals like Dussehra and Diwali. The temple is well decorated so nicely that it gives you an amazing ball to see such a beauty of the temple. Sri Padmavathi Ammavari temple remains open from 6 am to 9 pm onwards for their tourists/devotees. The temple has been built during the period of Tondaman Chakravarthi, who was the elder brother of Goddess Sri Padmavathi. And it’s believed visitors/devotees that before visiting the Sri Venkateshwara temple it is necessary to visit the Sri Padmavathi temple. There are more stories about Sri padmavathi Temple like when Sri padmavathi appeared with the golden lotus on earth and then Lord Vishnu also came there in search of her. Sri Padmavathi was the wife of Lord Vishnu. Padmavathi Temple has beautiful carvings of the goddess Lakshmi, Durga, Saraswathi and many more names they called. In this temple padmasarovaram, which is goddess padmavathi emerged on the golden lotus of thousand petals on Sukla Panchami. The Main Attraction of Sri Padmavathi Ammavari temple is the incarnation of goddess Padmavathi and the architecture of the temple. Although visitors/devotees visit this temple throughout the year, it is one of the best to visit the Sri Padmavathi Temple during the festivals time to witness its true grandeur. Festivals are Navaratri and Dusshera festival, boat festival (Theppotsavam), Vasanthotsavam. During the month period of Karthika on the occasion of Goddess arrival as a Sri Padmavathi at that time, when Lord gifts of Saris, turmeric, tulsi and delicacies on a decorated elephant.